Findspot: Egypt, Giza, G 7600 S, Room III. 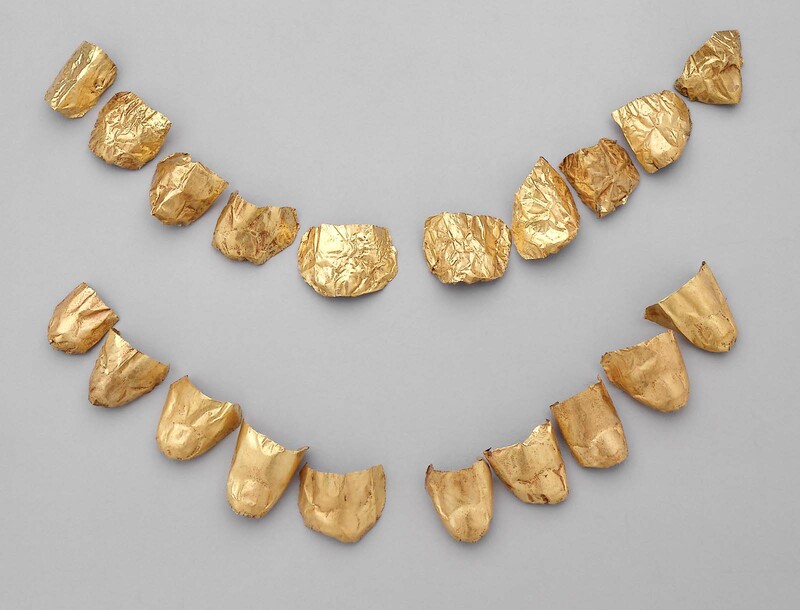 This complete set of 10 toe caps of gold sheet would have been applied to the tips of the toes of a mummy for protection of bodily integrity and visual form. Details of the nails have been incised. Some are in crumpled condition. For associated objects (finger guards/caps) from the same mummy see 29.1521a-j.